Located in Japan's interior, Nagano Prefecture has many mountainous areas, including a stretch of the Japan Alps – a range that's been dubbed "Japan's rooftop." The prefecture is home to many high mountains and a rich abundance of nature. Amid the lingering snow in the spring, pink cherry blossoms adorn the foothills with a carpet of color. 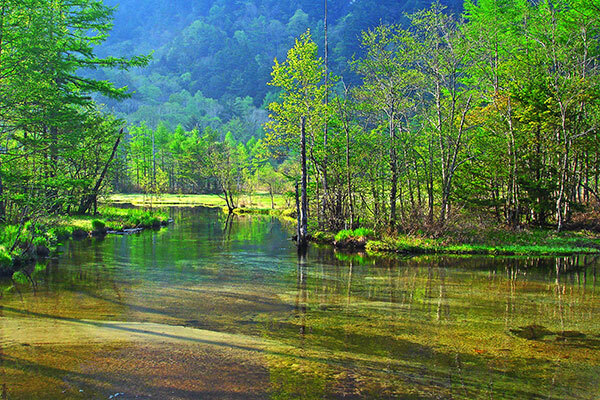 In the summer the cooler mountains are one of the Chubu region's best-enjoyed destinations for escaping the heat. When autumn arrives, you can enjoy the deeply hued foliage that tint the mountains and valleys red. 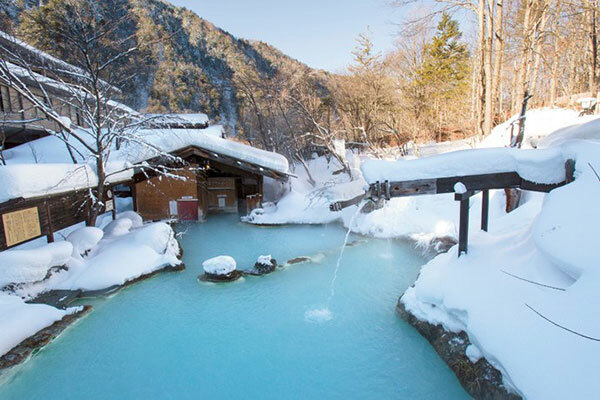 In winter, you can watch the snow fall while relaxing in the warmth of an onsen hot spring, and the prefecture also features many great places to ski! 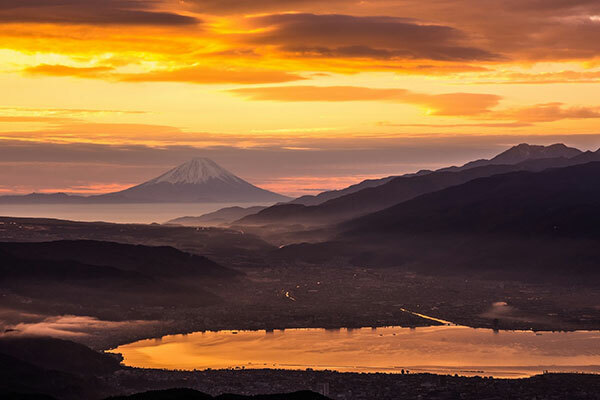 Be sure to experience for yourself the many rewarding travel destinations Nagano has to offer. 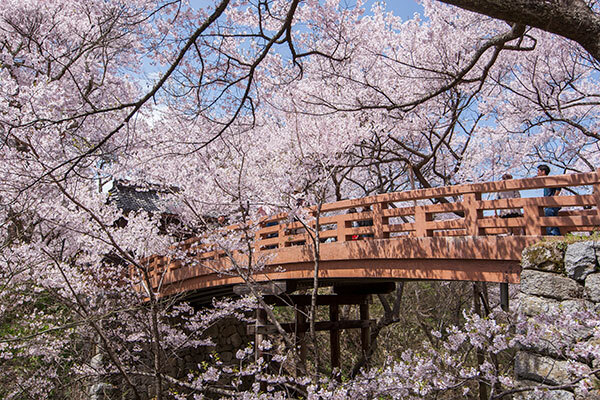 This is one of Japan's best-known sites for viewing cherry blossoms. The grove of some 1,500 takatoko higan-zakura cherry trees that becomes a belt of pale pink is renowned as one of the best cherry-blossom spots in the world. The city of Matsumoto could be considered a central hub for sightseeing in Nagano Prefecture. 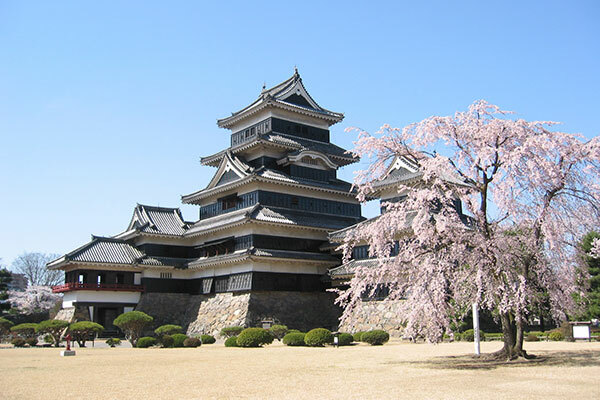 Matsumoto Castle, the city's symbol and a designated National Treasure, has Japan's oldest extant wooden five-structure, six-story castle keep. In the castle-town streets of Nawate-dori and Nakamachi-dori you can experience an ambience reminiscent of the Japan of yesteryear. Senjojiki Cirque, situated at an altitude of 2,612 meters above sea level, presents a snow-covered world even into spring. Here you can enjoy snowboarding, skiing, and other forms of fun in the snow. The locale is earning attention as a mecca for alpine skiing. 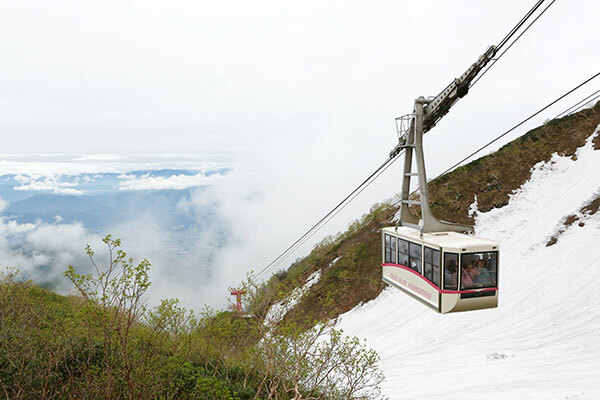 What's more, Senjojiki Station at the summit of the Komagatake Ropeway aerial tramway affords a must-see view of the Southern Alps, Mount Fuji, and Senjojiki Cirque. Daio Wasabi Farm, Japan's foremost farm growing wasabi root, is located in Azumino, where you can have fun cycling while enjoying views of abundant nature that encompasses the foothills of the Northern Alps and a harmonious blend of cherry blossoms, rapeseed flowers, and snow-covered peaks. Mountainous Kamikochi, lying at an altitude of 1,500 meters above sea level, is cool even in midsummer, and has some of Japan's best and loveliest mountain scenery. 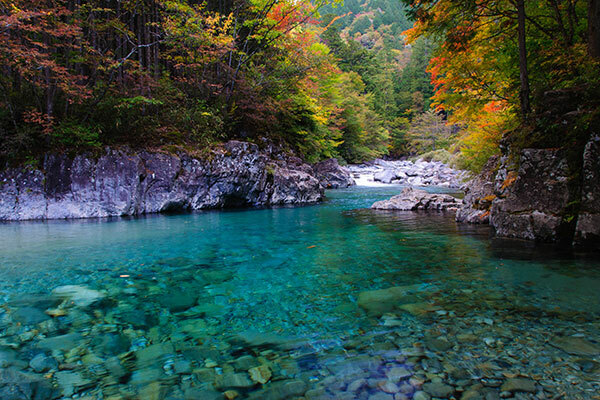 Kappa Bridge, which many considered a symbol of Kamikochi, the clear waters of mystical Myojin Pond, and other sights make for enjoyable hiking where you can fully experience the Kamikochi's abundance natural surroundings. The Suwa Lake Fireworks Festival, one of Japan's largest fireworks displays, is a greatly loved summer event that lights up the city of Suwa with color each year. Some 40,000 devices are shot up over the lake to bloom with dazzling light in the nighttime sky. There is also the Venus Line, a roadway that you can travel by rental car from Nagoya. This sightseeing route is a recommended summer drive for enjoying natural scenery to the fullest. This site offers a plethora of activities for enjoying summer, including shower climbing, rafting, and hot-air balloon rides. 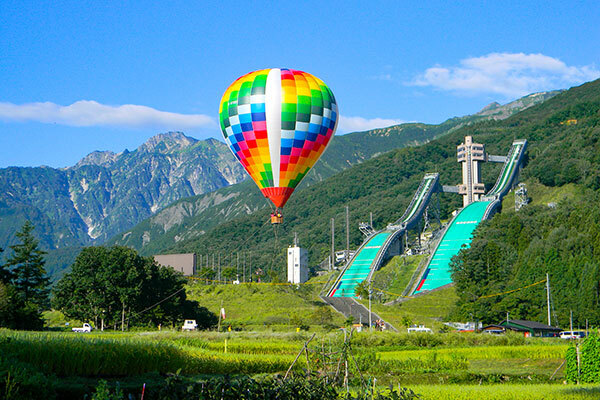 These take place in natural surroundings that you can only experience in Hakuba. Skies, rivers, lakes, and more – this is a locale where you can play your hardest in nature. "Atera Keikoku" is a valley of mysterious and divine atmosphere, that winds for about 15 km in length along a clear stream, where "Kiso go-boku" (the "Five trees of Kiso") - such as Japanese cypress and the Sawara cypress - grow along both banks. The waters' surfaces - deeply colored in emerald green - are amazingly clear, and offer several spectacular viewing points. Visitors can enjoy trekking through this secluded and untouched landscape, with the fall season - and its vibrant autumn colors - providing especially magnificent views. One of Japan's few highland marshes, Tsugaike Nature Park lies at an altitude of 1,900 meters above sea level. Reached by gondola and aerial tramway, the site affords views of majestic natural expanses and can also serve as a destination for trekking. 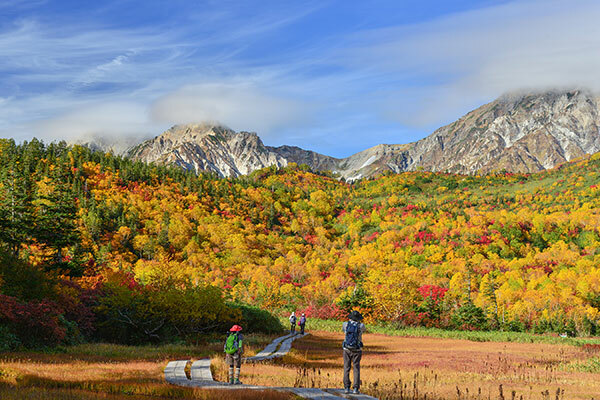 In the autumn, the location draws many who come to enjoy the colorful foliage. These highlands are situated at an altitude of 1,665 meters above sea level, and the 360-degree view makes the location a popular draw for photography buffs. 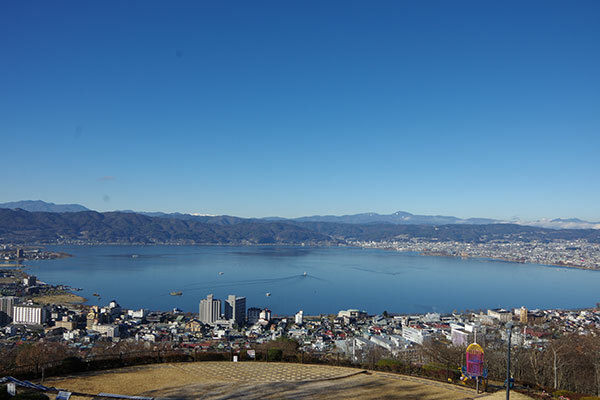 From here you can see the Northern Alps, Suwa Lake, Mount Fuji, and more. The site has recently earned added renown as one of the location in the hit anime film Your Name. This is a superbly beautiful scenic spot that not even many Japanese people know about. Very few foreigners who visit Japan are even aware of this amazing place. Wouldn't you like to check it out before anyone else? 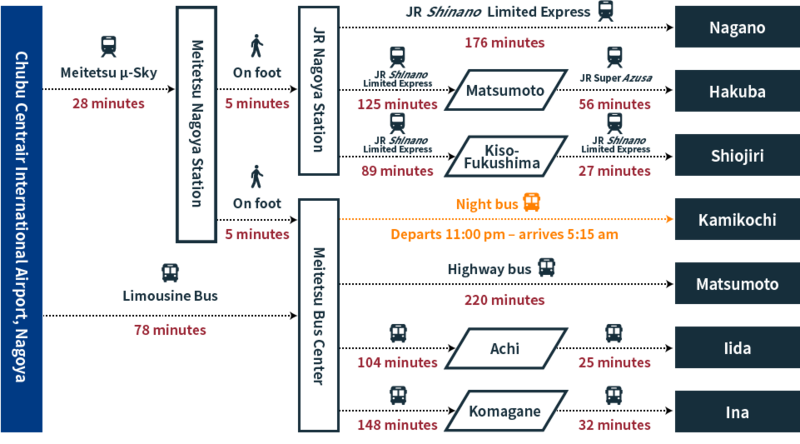 During Japan's feudal Edo period, Kisoji flourished as a highway comprising 11 post-station towns. Strolling through the townscapes of old buildings and cobblestone streets feels like a journey back in time. 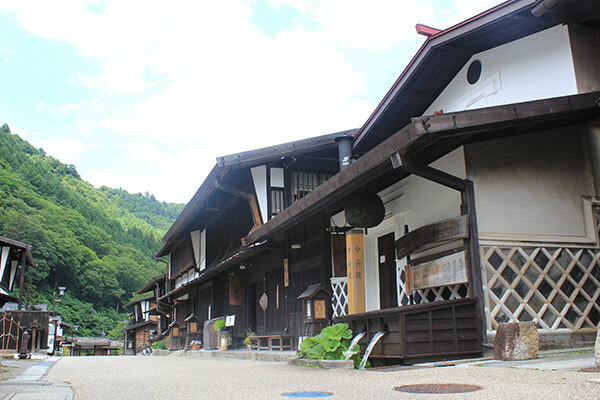 This lovely mountain hamlet has also been selected as one of "Japan's 100 Best Villages." From Tenku-no-sato View Point, a lookout located above the village, you can enjoy views of the settlement below. 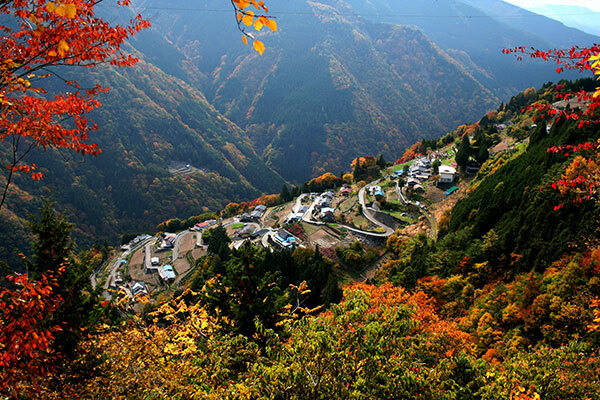 In autumn in particular, you can enjoy both the fall foliage and the village – the scenery then is truly picturesque. This romantic destination offers Japan's best nighttime views. 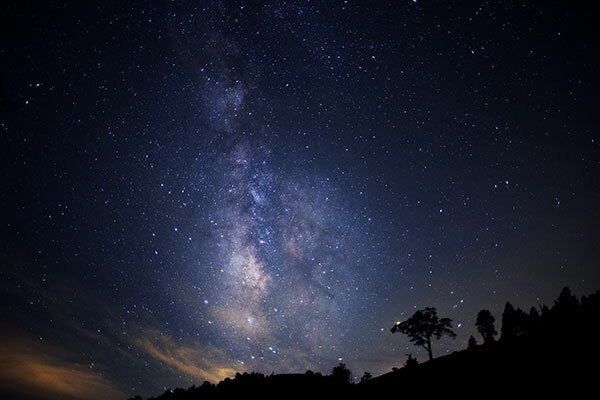 Travel to a mountain summit in the Fujimidai Highlands, away from urban lights, turn off all illumination, and gaze out upon the countless glittering stars in the night skies. 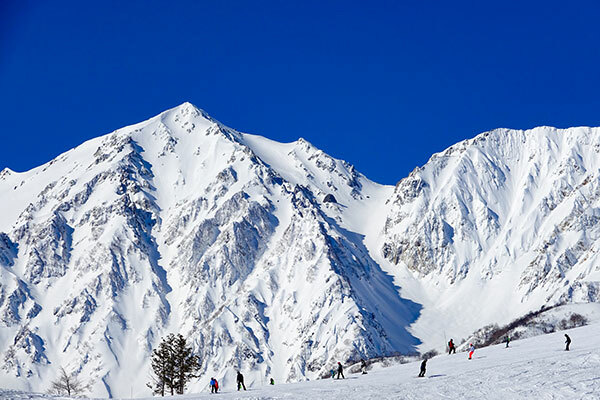 Vast panoramic views of the Northern Alps and powder snow that's perfect for skiing make Hakuba Happo-one Winter Resort a popular destination. Along with skiing down actual courses used in the 1988 Olympic Winter Games, you can also enjoy fun for the entire family at the resort's Kids Park and other child-friendly facilities. 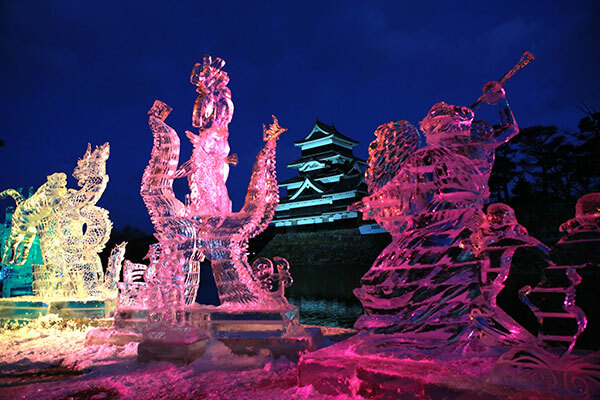 In winter, Matsumoto Castle Park is the venue for the Ice Carving Festival. This event features magnificent sculptures and a jumbo-size slide made of ice, and is fun outing for children and adults alike. This resort takes pride in this fact that 100% of the water in its baths flows directly from the springs. You can make the rounds of nine outdoor baths and soak in a variety of onsens using waters of different compositions and qualities. 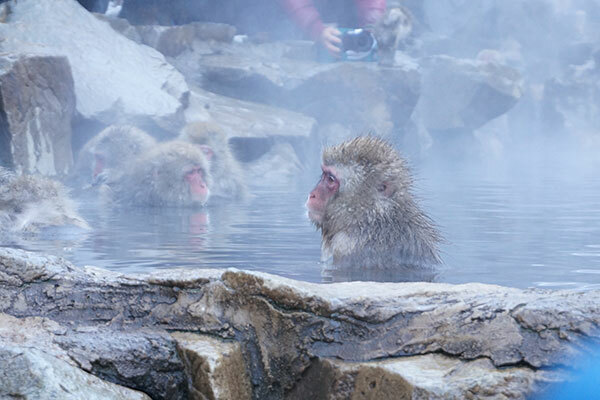 You can also make an excursion to Kambayashi Jigokudani Monkey Park and see adorable monkeys bathing in hot springs – an attraction that draws many visitors. Shirahone Onsen is distinguished by its turbid white waters. In olden times, they say, it was held that bathing in Shirahone Onsen for three days would give three years of protection against colds. In the winter you can relax in the outdoor rotemburo bath in a glittering snowy landscape – an interlude of special elegance. Copyright© Central Japan International Airport Co., Ltd.